Yesterday I completed a eight week program on Mindfulness Based Stress Reduction (MBSR) that was paid for by my employer. We have been meeting for 2 hours once a week to practice several types of meditation, yoga, lectures, and group discussion. 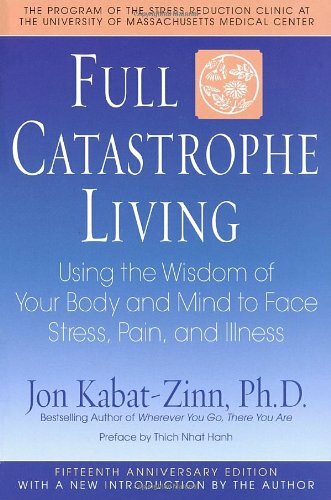 The material presented is based on the work done by Jon Kabat-Zinn at the University of Massachusetts Medical School. MBSR is about paying attention to your body. It is about being able to recognize events (R), allow or acknowledge them (A), investigate their impact (I), an non-identify (N). RAIN allows accepting the situation for what it is and to just let it be without engaging in the process of worry. But his delight is in the law of the Lord, And in His law he meditate day and night. Be angry, and do not sin. Meditate within your heart on your bed, and be still. Make me understand the way of Your precepts; So shall I meditate on Your wonderful works. I will meditate on the glorious splendor of Your majesty, And on Your wondrous works. So as you can see, meditation is a principle that is practiced and taught in the Bible.